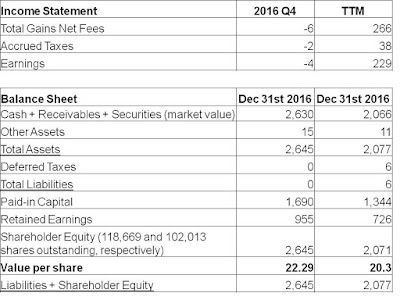 For the fourth quarter ended December 31st, 2016, KVF lost $0.03 per share, decreasing the value of each share to $22.29. In addition, the portfolio's returns were positively impacted this quarter by currency gains of $0.21 per share. 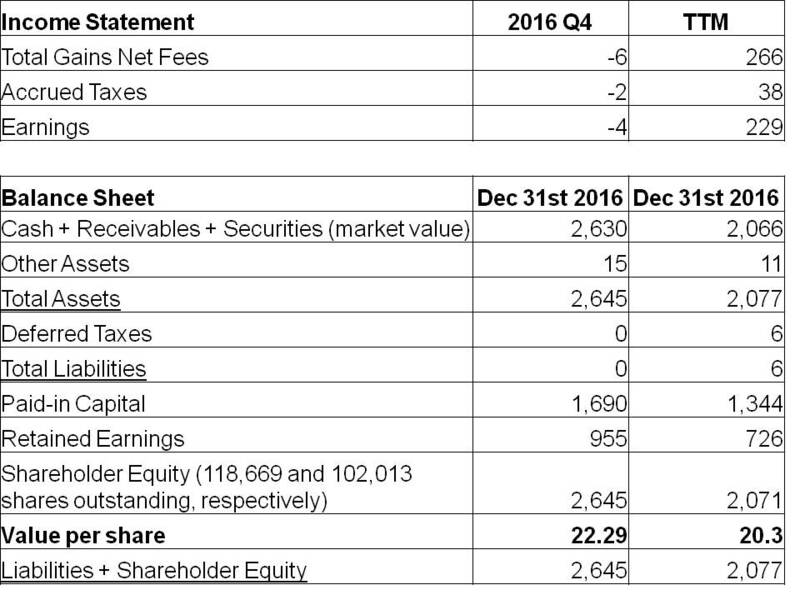 KVF's negative performance this quarter thus underperformed the major North American indexes, which were up in the low single-digits. The underperformance this quarter was completely due to price drops in two of KVF's largest positions. Interestingly, it was price increases in these same two positions last quarter which contributed to last quarter's outperformance for KVF. Neither for the first nor last time, these examples demonstrate that returns over short periods of time (whether they are good or bad) mean very little. KVF's exposure to US stocks (particularly of the large cap variety) continues to decrease, as these remain expensive. Strong price rises in two US holdings, Beazer Homes and FreightCar America, led to complete divestitures in the quarter as described here and here, respectively. Turning over rocks continues to be the name of the game right now, in order to uncover value where others are either avoiding or not looking.